EIN: Lamar, in Elvis Aaron Presley: Revelations of the Memphis Mafia (EAPRRM) you mention a dream Elvis had where he was on trial for his life. What was this all about? LF: In the final few years, one time Elvis told me he had this dream where he was on trial in a courtroom and the prosecuting attorney was the Colonel! Red and Priscilla were witnesses for the prosecution. 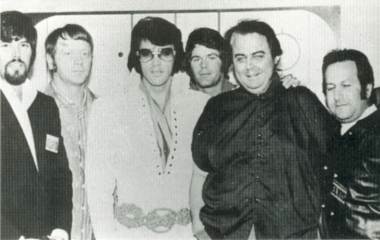 Many of the Memphis Mafia guys were in the courtroom, including me, and Elvis said none of us would defend him. The only people on his side were two members of the jury, Sol Schwartz and Lee Ableser. They were the jewelers in Beverly Hills who made his TCB jewelry. It was a real strange dream as the judge was dressed in white, not black, and carried a black medical bag. Elvis saw the dream as an omen that the end was near. EIN: The '68 Comeback Special. What a fantastic time. As one of the people present during filming what did you think of Steve Binder? LF: Number one, I hated the term Comeback Special because he never left. Number two, Steve was a brilliant director and I found him to be a fascinating person. His approach to how Elvis' special should be was thoughtful and contemporary. Very unlike the Colonel's idea of an old-style Christmas show. Than God Steve and Elvis had their way! And you know what, while Steve had the conceptual ideas for the special, in charge of the musical side was definitely Elvis. It was a good mix, Elvis and Steve. EIN: The Elvis & Steve Binder on Sunset Boulevard story. A myth appears to have grown up around this incident. Can you set the record straight. LF: It happened. The (Jerry) Hopkins book says Steve took Elvis out on Sunset Boulevard to show Elvis he could go out in public and not be mobbed, to show him he wasn't a big star anymore. And Hopkins says people were just knocking into him, not recognizing him. Well, yes, Steve Binder did take Elvis out onto Sunset Boulevard, but man let me tell you, it was wild. A real mess. We had to fight to get Elvis back in once people saw it was Elvis. So much for him no longer being a big star! EIN: The return to live performing in Las Vegas. How exciting a time was this? LF: In the beginning it was unbelievable but as the Colonel always did, he ran it into the ground and it became boring to Elvis. The Colonel just never got it that Elvis needed a creative challenge. In those final years it was a case of "if only..."
EIN: In the late 60's-early 70's Elvis was enjoying a massive revival on the charts. How did he react to his renewed popularity? LF: He felt like he was back in the swing of things where he belonged. He hadn't really been away but after the shallow films he had a chance to show he still had it. A lot of the music he was recording then was good, a return to his roots. EIN: Do you feel the Vegas schedule of 4 weeks with 2 shows a night contributed to Elvis' physical and emotional decline in the 1970's? LF: Absolutely. It sapped his motivation and desire to perform. Nobody goes to Vegas and plays four weeks anymore, they usually only do a week. Four weeks is a marathon and the repetition of cramming 60 shows into that period can be really monotonous and mind and body sapping. EIN: From the early 70s on, Elvis' recordings assumed a greater "country music" flavor. While this was consistent with Elvis' love of that genre and its increasing popularity with the public, what direction, if any, do you think Elvis' music would have taken had he not died in August 1977? LF: I think he would have continued to do songs that were great regardless of the genre. Elvis was very attuned to changes in musical taste and as his career showed, he was able to adapt, in fact, often lead those changes. His influence with younger audiences may have changed over the years but he would still have been an important musical force, and always will be. EIN: Some people say that had Elvis lived he would have become a preacher. What do you think? LF: Not no, but hell no! EIN: Elvis' idiosyncracies. What were some of the things Elvis did that frustrated or annoyed you? 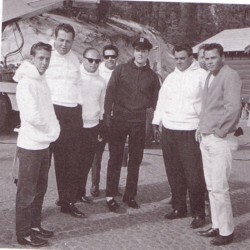 EIN: The April 1973 Lake Tahoe season was one of the low points in Elvis' career. 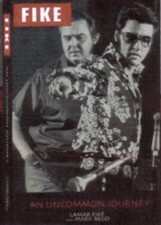 Variety magazine described Elvis' performance as "weak, delivery is flabby". What was the problem at that time? LF: At that time Elvis was tired of everything. Vegas and touring had become monotonous. Elvis was starting to put on weight and the necessary creative challenge just wasn't there. It was a sign of things to come. 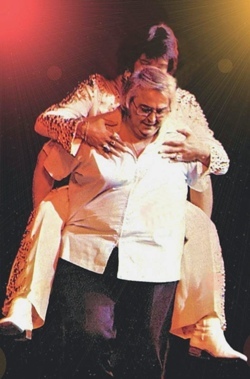 In 1973 at the Lake Tahoe Closing Show (the night Elvis fired The Colonel) Elvis was carried on stage by Lamar Fike and a crazy toy monkey on his back. EIN: During Elvis' supercop/superfly period what were some of the things you all got up to? LF: About him being a policeman was his dream and this was another chance to live out his dream. He was really caught up in catching the bad guys. He knew a lot of cops including some who were narcs. Mostly we'd stick to little stuff. Elvis would put on his cop uniform and we'd go out while he stopped traffic. He'd pull a guy over, tell him he was driving too fast, and give him a safety lecture. We'd cruise around in Elvis' light blue Mercedes and Elvis would say, "Here we go, Lamar. Out to serve law and order." Occasionally he'd chase people down the interstate. They didn't get a speeding ticket...they'd get an autograph! At times though, when Elvis was high, his mind took over and things became bigger than life. Elvis told Dave Hebler once that he'd been on a narc raid in Denver and he'd sneaked up behind this guy with a sawed-off shotgun. Elvis used to tell the story several ways but to Dave he said the guy heard him and was about to blast him, when Elvis hit him with a karate chop to the neck and killed him. EIN: April Fool's Day 1975 in Vegas. You and the Colonel appeared on stage dressed as Santa Claus and there was also a water fight. Sounds like a real hoot. What happened that night to provoke such hi-jinks? LF: It was a simple case of boredom. Elvis didn't know we were going to do it but as the consummate professional he handled it well giving us our minute in the limelight before getting back to business. The audience were laughing like crazy when we did it. It shows something about the Colonel too! EIN: By all accounts, in 1975 Elvis suffered a number of episodes where he found it difficult to breathe. At that time how concerned were you becoming about his physcial and emotional health? LF: I was real concerned, as were many of the other guys. But what could we do? We could try and tell Elvis to slow down, take care of himself, but in the end we couldn't do it for him! He had to do it himself, and sadly he didn't. It would be nice to blame someone or some others for Elvis' decline and eventual death but the reality is you can't save someone if they don't want to save themselves. EIN: Elvis' 41st birthday celebration was in Vail, Colorado. It was supposed to be a dream vacation. What happened? LF: It wasn't a dream. Elvis was pretty well stoned and out of his mind. He was doing a lot of Dilaudid and threatening to kill everyone in sight. God, he even flew Dr Nick in a couple of times to get more prescriptions. He was also doing a lot of uppers at the time which didn't help. EIN: Lamar, in 1976 you were living and working in Nashville. What was your relationship with Elvis and the MM at that time? LF: It was really no change. I always was working for him. EIN: Did Elvis ever reveal his feelings about his weight gain in the last few years of his life? LF: If he ignored it it wouldn't go away. Elvis thought he could lose the extra weight overnight. A lot of it was fluid retention so Elvis could drop quite a few pounds quite quickly but his diet and medical problems meant the problem wasn't going to go away. I remember talking with Elvis one day and the weight thing came up. I said, "Elvis, your mother went through the same thing you're going through. You realise that, don't you?" And he said, "Sometimes I think about that." As I said in EAPRMM, Elvis' physical deterioration in those last years was just horrible. EIN: In March 1977 Elvis cancelled dates in Louisiana, Alabama, Georgia and Florida. Elvis was hospitalised but this was apparently a smokescreen. What was the real story? LF: Elvis was worn out and he and Ginger were fighting. He didn't want to do the shows. We flew back home to the hospital but this was just an excuse so he wasn't sued for breach of contract. We added the canceled gigs to the next tour. They also tried to detox him when he checked into the hospital. EIN: Lamar, a few days before Elvis died you had an almost prophetic conversation with Joe Esposito. Can you share it with us? LF: I'd been talking to Elvis and he told me he was tired and didn't feel good. I told him he could cancel the tour but he said he needed the money. What he really needed was a long break, six months in Hawaii or Europe or something. I suggested that to him but he felt obligated. Later, Joe and I were talking on the phone and I was concerned about Elvis and I told Joe I didn't think we were going to make the tour and we didn't. It wasn't that I thought Elvis was going to die I just thought he wasn't well and not in the right shape to complete the tour. 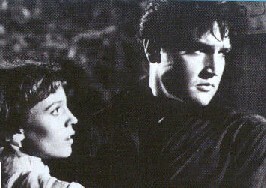 EIN: Elvis was well known for his strong personality and will. Despite this, on an emotional level many fans believe the MM should have done more to help Elvis. What do you say to this? LF: As I said before, nobody can make someone do what they don't want to do. We tried but had we not, he would have died years before. Uninformed people make uninformed statements. EIN: How much do you think was Elvis affected by a self-destructive tendency? LF: It was all consuming. EIN: In your opinion what was the biggest disappointment for Elvis in his life? LF: Not touring outside the US. EIN: A related question, what do you think was the biggest missed opportunity in Elvis' life? LF: Again, not touring outside the US. EIN: Lamar, how did Elvis' death affect you? LF: I still can't get over it. I miss him every day. EIN: Albert Goldman's biography is widely despised by Elvis fans. In 2005, how do you feel about your involvement with it? LF: My involvement was only to introduce him to people, I had nothing to do what he wrote. Can't we all get over this! EIN: Because of Goldman's anti-Elvis narrative its positive points are easily overlooked. What do you think Goldman's book brought to the Elvis world? EIN: The Elvis Mob was a frank and illuminating special about Elvis and the Memphis Mafia. It was also a lot more self-contained and accessible than the much longer, but excellent, series, All The King's Men. How did you feel filming both documentaries? LF: I enjoyed both and while All The King's Men was sadder at times, it was definitely more enjoyable with the guys. I feel the two documentaries have allowed us to express sense of what it was like being around Elvis and how we felt about the good times and the bad. EIN: Was it in any way a cathartic experience? LF: Absolutely! After all the bad press many of us have received over the years it was goddamn good to get the chance to tell the real story, warts and all. EIN: Wayne Newton and his emotionally powerful song "The Letter", is allegedly based on a cry for help written by Elvis. In your opinion, is the note fact or fiction? LF: Fact. Newton bought it from Sotheby's. It was written by Elvis at a very down, desolate time in his life around the end of '76. The story is that he wrote it on a telephone pad, then screwed it up and threw it away, but someone saved it. You've got to understand, Elvis was only human even if many want to sanctify him to a higher level. On an emotional level he was no different to you or I...he had feelings, strong feelings, and he was searching for what eludes so many of us, inner fulfilment and inner peace. EIN: Why will Elvis' music and legacy live on? LF: I think it's a cyclical thing. I liken it to Aboriginal cave drawings which hand down history from generation to generation. With Elvis, parents pass on his music to their children and so on. Also, a lot of his music will be timeless so future generations will discover it in decades to come. EIN: What do you think would Elvis think of some of today's stars like Eminiem and Pink? LF: He wouldn't. Think of them that is. EIN: Fans can only imagine what it was like being part of the MM and around Elvis. How would you sum up the experience? LF: Historically unbelievable! We had the privilege to share the life of one of the biggest superstars the world has ever known. EIN: Lamar, a final question. What is your biggest regret about your time with Elvis - is there anything you would do differently if you had the time over again? LF: I can honestly say there is nothing I would do differently if I had my time again. EIN: Lamar, thank you very much for talking to us. I know fans the world over wish you all the best for the future and as an Aussie I hope some day soon we might see you visit "downunder". LF: I'd love to come "downunder". I've been there twice before and love the country and its people. I'm also a big fan of Nicole Kidman. She's an an amazing actress...I think her legs end somewhere between Sydney and Melbourne. 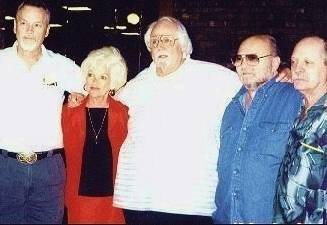 Sonny West, Anita Wood, Lamar Fike, Marty Lacker, Billy Smith.